Catch the spirit of the sun in southern California. 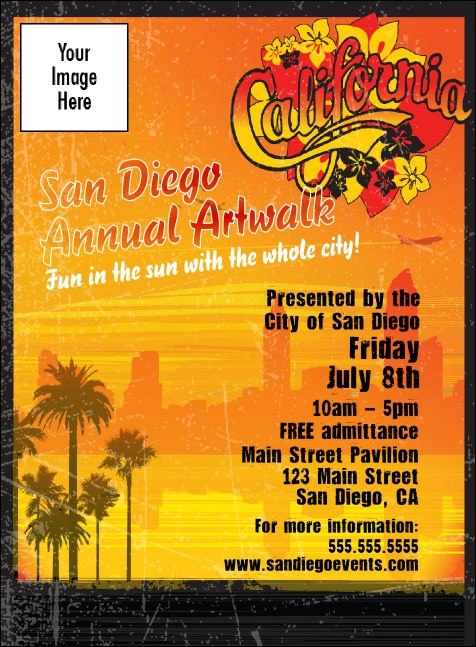 Heat things up with the San Diego Invitation, a warm red, orange, and yellow design featuring the skyline, the beach, and the local flora and fauna. Beautiful invitation templates help raise interest in your big event and get the party started off right, San Diego style! Every city has its own local character, and so does every city Event Kit from TicketPrinting.com.